Plenty of new faces could be on show in England’s next two games. A spate of injuries has left England manager Gareth Southgate to hand call-ups to four previously uncapped players for the Three Lions’ latest round of international friendlies. 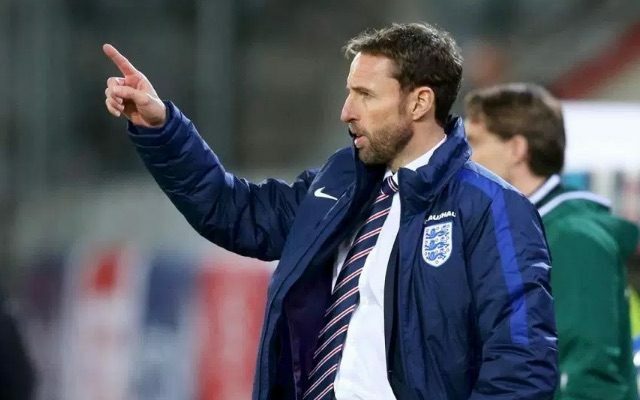 England take on Germany and Brazil at Wembley as they begin their warm-up for next summer’s World Cup finals in Russia, and could have done with more of their big names on show as Southgate mulls through various potential line ups and systems to use next year. Still, England will now get a look at four new boys to the international scene, so can any of them make an impression in this brief stint before a lengthy break until their next opportunity? Formerly of Chelsea, Cork went out on loan seven times during a fruitless career at Stamford Bridge, but now seems to be coming into his own in an impressive Burnley side this season. With a string of strong performances in Sean Dyche’s midfield, Cork perhaps doesn’t seem a likely candidate to get onto the plane come next summer, but he’s now got a chance to show he belongs at this level. Definitely an exciting one for the future, Tammy Abraham first burst onto the scene on loan at Bristol City last season as he netted 26 goals in 48 games. Now on loan at Swansea, Abraham is showing he can cut it at Premier League level too, scoring four in nine appearances so far for Paul Clement’s struggling side. If he carries on like this, Abraham is sure to feature in future England squads, though he may need to get away from Chelsea in order to play often enough to catch Southgate’s attention. A surprise call-up based on his slow start to life at Crystal Palace, but Ruben Loftus-Cheek has often been highly thought of at parent club Chelsea. The 21-year-old could well be more at home in a team like England, who, for all their failings, can’t be any worse than this relegation-battling Crystal Palace side. Just seven games and one assist in the league so far this term, but Loftus-Cheek now has a chance to show England, and to some extent Chelsea, that he can cut it in the bigger matches. A promising talent who first broke through in the 2015/16 season before injury, Joe Gomez is back in the Liverpool first-team this year and looks once again to be a player with a big future. Capable of playing right-back or centre-back, the 20-year-old has been drafted in for England and could get a chance in a variety of roles if he’s lucky. It might be a little soon for Gomez to realistically make next summer’s World Cup squad, but this could be valuable experience for him in his future role with the national side.